In order to prevent repeat incidents we need to learn in a different way. LFI alerts are often low quality (too wordy, too complicated) and distributed via email which is mostly 1 way communication with little interaction or opportunity for reflection. Organisations' LFI processes follow a similar lifecycle. However, research finds that most organisations miss a key step to help people learn: we call this reflecting. If you read something - in a book, in a newspaper, or on an LFI alert - even if you found it very interesting at the time, it is likely that you will forget much of what you read within a few days or weeks. Few people remember details, but we are much better at remembering stories and experiences. Reading an LFI alert usually is not enough. We need to make sense of an incident and decide for ourselves what it means for our own work. In short, reflecting means engaging with information about an incident (an LFI alert, video, report, etc.) and taking time to make sense of it and decide 'what it means to me'. Reflective learning is a method that focuses on behavioural change. It is a learning method that is aimed at personal reflection and individual change. Through a structured facilitated engagement session participants reflect on incidents and their own behaviours. Reflective learning is a face-to-face facilitated group discussion, supported by simple and engaging materials (to make the emotional connect). In the group discussion attendees reflect on ‘how can similar things happen at their site’ and their own behaviours ‘what can I do differently to prevent a similar incident ’. NOTE: A Reflective learning exercise is not about watching a video, but it is about the engagement and reflective discussions with colleagues. People learn in different ways. The engagement styles that have been used traditionally for sharing learning from incidents only focus on 1 or 2 learning styles (reading and listening). This is only effective with a limited number of people and is mainly focused on transferring information. Reflective learning caters for different styles of learning (reading, listening, watching, discussing) and research has shown that via this way the opportunity for learning and actual behavioural change (behaviours that will actually prevent us from making the same mistakes again) is maximised. For each theme the key dilemma and learning points of the reflective learning session are carefully selected by safety discipline specialists, psychologists and communication experts. The video and supporting materials are designed so the target audience can easily understand and make an emotional connect to the incident(s). The crux is not to provide the answers, but to pose the right questions to guide people through their own learning process. Training for facilitators is available. A high quality discussion requires a facilitator that can guide participants through the learning process and maximize the potential for behavioural change. Keeping our product in the pipe or in facilities from the moment we start drilling until the moment we deliver our products to our customers is crucial. 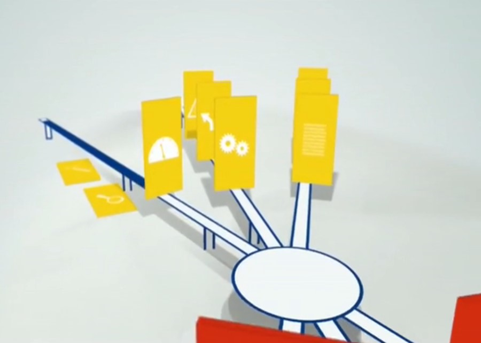 In this video we will focus on barrier ownership and put it in context of asset integrity. The first part of the video makes people aware that incidents can happen if barriers are not in place. The Piper Alpha incident is used as an example. In the second part, the bowtie is described. There are hardware- and human barriers, which are supported by critical processes. 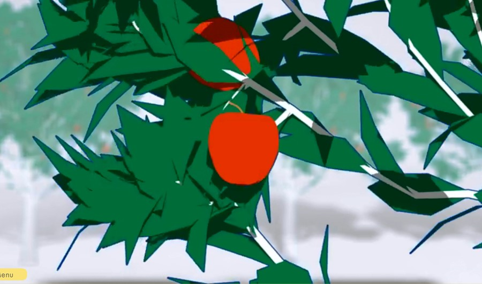 In the last part of the video we see a petal model appear, a visual representation of asset integrity. Chronic unease is the alertness to weak signals and to mind traps. It is about resetting our tolerance to risk and understanding that small failures are signs that something needs fixing. 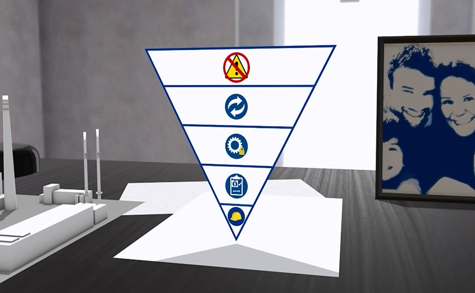 The video consists of three parts – it stops automatically after each part for an engagement activity. The first part of the video is called “Chronic Unease”. In the first part of the video we see what chronic unease means, using different practical examples in daily life. The second part of the video is called “We are all human.” In this second part of the video we see how our minds work and how this relates to the actions we take or don’t take related to safety. The last part is called “Mind traps.” It explains the biases that we have and how they affect our actions related to safety. In the first process safety reflective learning video we reflected on barrier ownership in general. The key message was about knowing your barrier and ensuring it is strong and healthy. Hardware barriers, human barriers and critical processes were explained. 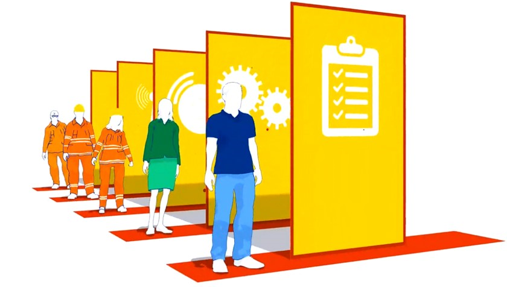 In this second process safety related video, we go in deeper and focus on barriers and critical processes when things change. In the first part of the video we see two scenarios, one about a ship that enters the 500 meter zone, and one about a pigging operation. In part 2, the story develops and we see the situation changing. New threats and hazards appear. The last part of the video explains normalisation of risk and the fact that we are often too optimistic on the outcome of our actions and plans. 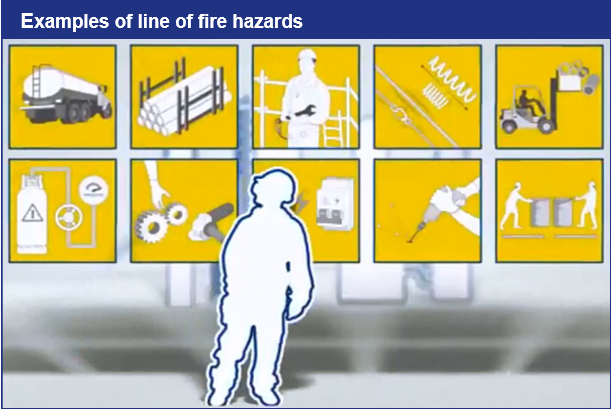 Line of fire = The zone within a work area where there is risk of (serious) injury from machinery or equipment. Line of fire hazards are mobile heavy equipment, lifting and hoisting, dropped objects, tensioned lines/devices, objects with roll/fall potential, pressurised equipment, machinery and tools, electrical equipment, projectiles, pushing and pulling. The line of fire video set-up is like the other reflective learning videos. However, the break questions are kept to a minimum to allow sufficient time to discuss a local line of fire incident (this will bring the topic closer to the audience). Use local incident information - check with your legal adviser before the session if an incident can be discussed - and use own line of fire materials as appropriate. Lifting and hoisting is team work. Only as a team, and with clear roles and responsibilities for each team member, we can lift safely. The person in charge of the lift, the crane operator, the banksman (flagman or signaller), the lifting and hoisting experts: all have crucial roles to fulfill. Use this video to reflect on everyone's role. How are things organised at your worksite? Do all understand their role, and do they know the barriers they are responsible for? Is everybody aware of the situation, before work and during execution? Examples of industry lifting and hoisting incidents are shown. This part ends with a moment of silence for all victims of lifting and hoisting incidents. In the second part of the video, the importance of every step in the process is explained. It all starts with planning. 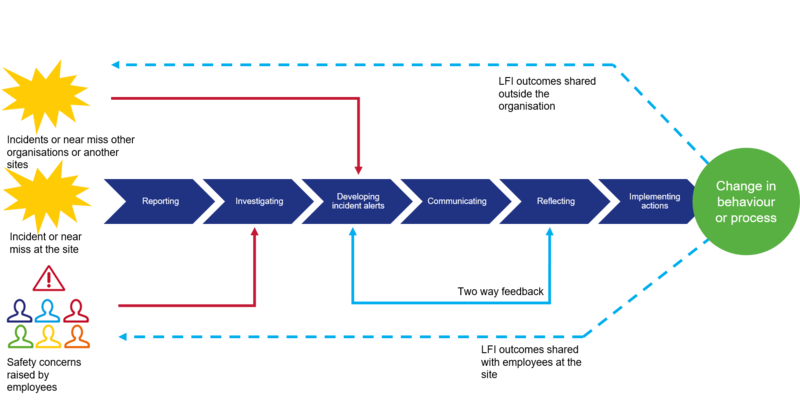 We see an incident evolving over time, starting in the office and ending on site. In the last part of the video, situational awareness is explained. Imagining what could happen next and having a clear understanding of your role in owning barriers or critical processes is crucial to avoid lifting and hoisting incidents. Objects falling from height are an ever-present hazard with potential to kill, but it can be avoided, and we all have a role to play! 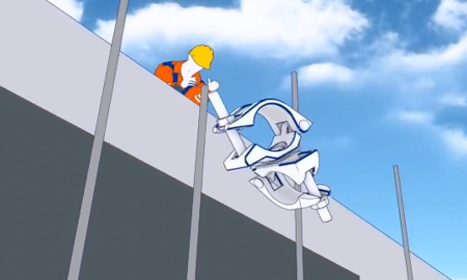 In this reflective learning video three different types of dropped objects incidents are shown: 1.Dropped objects during lifting and hoisting activities; 2.Dropped objects from fixed structures/facilities; 3.Dropped object from working at height. In the first part of the video, we see workers on top of a tank. Various barriers and controls are in place, but a flange that is being removed slips out of the hands of the workers and falls through a gap in the grating, narrowly missing another worker below. In the second part of the video, we see a corroded bolt lying on a walkway of an offshore platform. Later, a piece of angle iron falls to the walkway in the same area and strikes a worker. 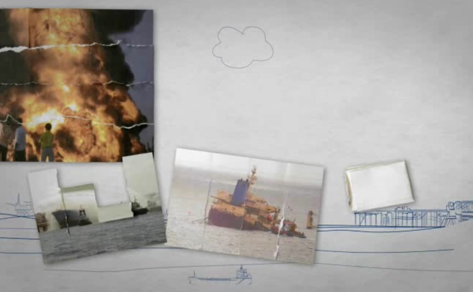 In the last part of the video, a story is presented about a dropped object incident on a drill ship during a lifting and hoisting operation. Thinking you have full control is an illusion. It is better to remove the hazard! Make sure you are not normalised to every-day risks, discuss dilemmas and take care of yourself, colleagues, friends and family. The hierarchy of control is a well known concept in our industry, but in many cases it is not very well applied. In this reflective learning session. participants will reflect on their work situation and the risks they might have normalised. In part 1 the “hierarchy of control” is introduced, showing some examples of how it can be applied. The hierarchy of control is an approach - a preferred sequence - to control risks during design, during preparation of work, and day-to-day activities. Part 2 of the video explains the fact that people accept hazards. It includes examples of how people have become blind to risks they take every day. In part 3 the “hierarchy of control” is further explained, showing more examples of how it can be applied. The importance of taking care of yourself, your colleagues, family and friends is emphasised. For both individuals and as a work group, it is important to elaborate on how to reduce fatigue risk for the team. This video explains the importance in an interactive way. After seeing this video, participants are able to demonstrate they actively care for each other and can openly discuss fatigue and other safety concerns. and intervene with each other. As part of the session participants are asked what they will do differently to ensure they get enough sleep. In part 1 of the video, the concepts of sleep and fatigue are introduced and where fatigue situations occur in the workplace. It is stressed that one might not be aware of being fatigued. Part 2 gets the audience ready to reflect on their sleeping arrangements, environment and habits and to see how they can improve the quality of sleep for themselves and the whole family. 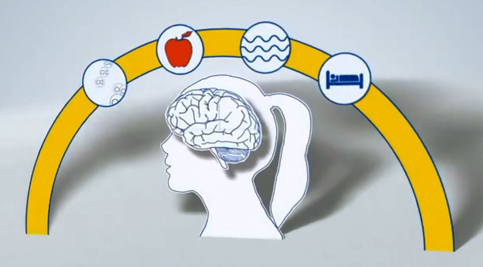 In the last part of the video we look at how recognising fatigue and respecting sleep needs is a shared responsibility, involving the individual, their family and work colleagues. Sleep matters!